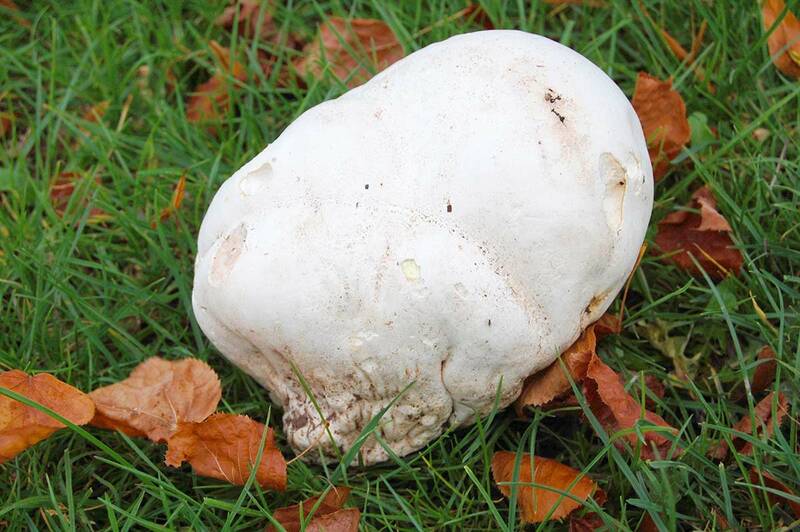 Last weekend I discovered a puffball. It was the first one I’ve seen this season and a very welcome sight it was, too. Fairly big, it needed two hands to cup it and it looked in prime health. Puffballs remind me of giant marshmallows and indeed the texture is not dissimilar. They are excellent to cook and behave much better than many other mushrooms, mainly because they don’t release masses of liquid when you put them in a hot pan. They are perfect to grill and because their flavour is mild, they are all the better with a good marinade. I crushed garlic and mixed it with olive oil to brush generous amounts over both sides and studded the soft flesh with rosemary. Lots of salt and pepper is necessary and a fairly long time grilling on both sides, then finished with some good olive oil. Simple but delicious. There are many other ways you could try too. Other herbs such as thyme or savoury would taste good and another good tip I’ve been given is to fry them in salty smoked bacon fat for breakfast. Definitely worth a try. Mix the crushed garlic with some olive oil and brush it over both sides of the mushroom. Push the sprigs of rosemary into the flesh and season well with salt and pepper. 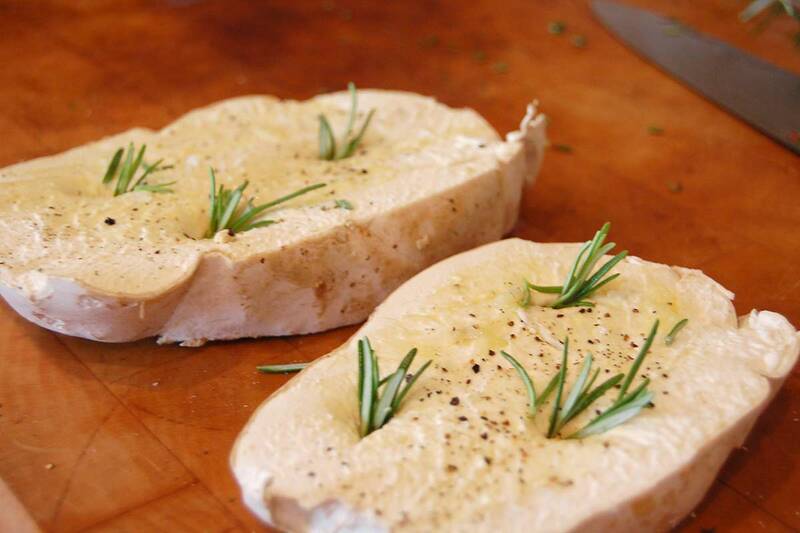 Heat a griddle pan or frying pan and cook the slices on both sides for 3-4 minutes or until well coloured and soft. Pour over some good olive oil to serve.